Build a Sun Hut Fortress in 20 Minutes Watch this video to see how to assemble the Sun Hut Fortress Grow Tent. 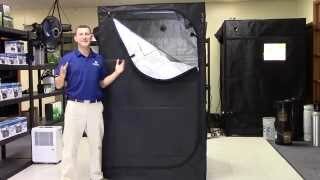 Watch this video to see how to assemble the Sun Hut Fortress Grow Tent. Sun Hut Fortress Sun Hut&reg; Fortress&trade; are the newest line of premium grow tents from Hawthorne Gardening Company&reg;. These tents deliver a new innovative design along with unique product features, enhancing your indoor greenhouse experience. Fortess&rsquo;s have exceptional quality with superior durability. Sun Hut® Fortress™ are the newest line of premium grow tents from Hawthorne Gardening Company®. These tents deliver a new innovative design along with unique product features, enhancing your indoor greenhouse experience. Fortess’s have exceptional quality with superior durability. 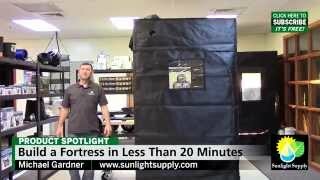 Sun Hut - Blackout Grow Tents Watch this video to learn more about the innovative Blackout&trade; line of grow tents from Sun Hut&reg;! 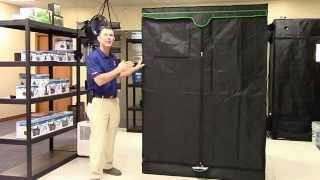 Watch this video to learn more about the innovative Blackout™ line of grow tents from Sun Hut®! Sun Hut - The Big Easy Check out The Big Easy&reg; grow tents from Sun Hut&reg;! Check out The Big Easy® grow tents from Sun Hut®! 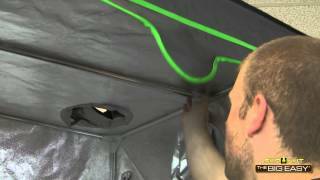 Sun Hut - The Big Easy 3x3 Assembly This video tutorial will help you with assembling your 3x3 Sun Hut - The Big Easy Grow Tent! 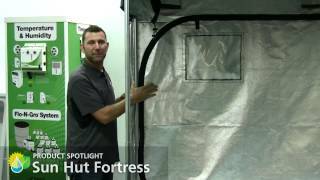 This video tutorial will help you with assembling your 3x3 Sun Hut - The Big Easy Grow Tent!